The single parent (and especially the single mom) used to be relatively rare. Today, it’s estimated that roughly half of all children in the United States are raised by single mothers before the age of 18. While some negative stereotypes surround single moms and their children, others embrace their status and gladly accept the challenge. According to at least one single mom, this style of parenting bestows toughness and resilience on her children, which results in kids better equipped to handle some of the harsher realities of life. 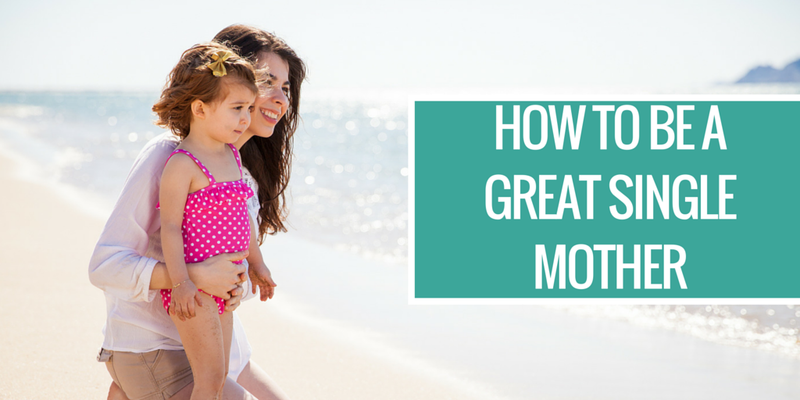 If you’re a single mother – or soon-to-be single mom – what can you do to become the ultimate role model for your children? Adjust your work schedule. Find a job that fits your lifestyle at the present moment. If you can freelance, work a different shift or get extra hours on the weekend to make up for lost hours during the workweek, you’ll soon find a work “comfort zone” instead of stressing about it. Get on a budget. Single motherhood means one solid income source. You’ll most likely will become very good at budgeting, so why not get an early start? Plus, your budgetary discipline won’t just benefit you in the moment; kids raised with a budget-minded single mom tend to have better financial skills later in life. Don’t demonize men. Single moms can understandably show bias against men, but this attitude is counter-productive in the long run. For one, you may end up married again, and past negativity may impact your child’s ability to transition with a new father figure. Plus, any goodwill shown by your father, grandfather, uncle or other male role model has nothing to do with your child’s biological father. Find time for yourself. Sure, single motherhood is busy, but don’t forget to carve out a little “me time” in your schedule. Go out with family and friends every once in a while. Get a sitter for your children. It’s important to maintain a proper life balance when you’re a single mom – and that includes finding time for yourself! Ask for help. Single motherhood can cause anyone to get overwhelmed. Make sure you have a robust support structure. Family, friends, even faith-based organizations are great resources to lessen the load, whenever you require additional assistance. Turning Point’s services include a one-on-one mentorship and parenting education program for single moms, and we also offer early pregnancy medical services, too. With experienced and compassionate personnel, our organization has helped thousands of women in the greater San Diego County area. All of our programs and services are no-cost. Call us today at (858) 397-1970 or text at (858) 822-9335. Turning Point’s positive, purposeful advocacy can assist any single mom in need, including you.